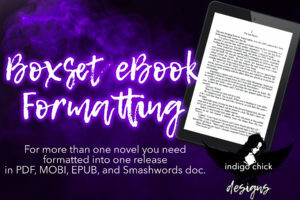 Do you need a print interior ready for Createspace, LSI, or Lulu? 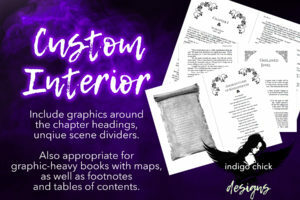 I have experience producing interiors for various print on demand services. The manuscript laid out as you would like it to appear (including the copyright page–although I have a template if you’d prefer–dedication, about the author, etc). The trim size (5×8, 6×9, 5.5×8.5). 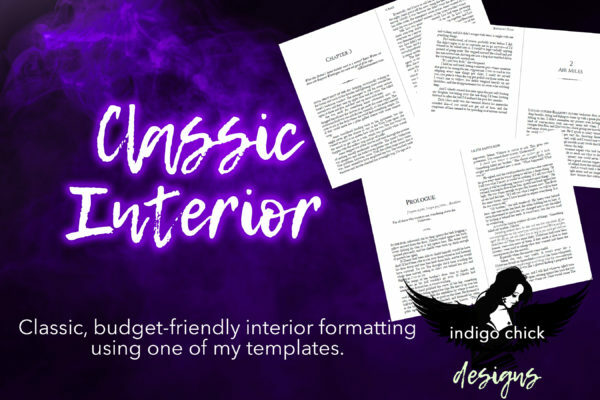 The name of any specialty fonts for the title page (font must be free; if it’s a premium font and I don’t have it, there will be an extra charge if you want me to buy it). Preference for text font size (I use Garamond 11pt; some clients prefer 12pt). I deliver a print-ready PDF file with embedded fonts for upload at your printer within one to two weeks. 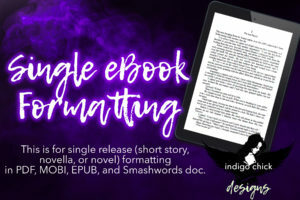 Included in the price is one round of revision to correct any formatting errors or very minor typos (under ten). If you require additional changes, there will be an alteration fee. Do you need footnotes, maps, and want more custom work? Check out the Custom Interior Formatting product in the shop.